We create the perfect combination of intelligent technology, functionality and design. Priding ourselves on this, we develop and produce a vast range of fittings – from drawer and runner systems to hinges, decorative handles as well as folding and sliding-door hardware. JS Kitchens is a Hettich Endorsed Showroom to experience the style,comfort and superior function Hettich products can bring to your home. Bestwood Melamine is a range of low pressure laminate pre-finished panels and offers a wide range of colours, prints, finishes, substrate types and thicknesses to choose from. The sophisticated range of colours, textures and wood grains delivers an authentic appeal with a variety of creative surface finishes available to enhance any residential or commercial project. Prime Melamine boasts a collection of ‘natural’ colours and patterns evocative of New Zealand’s rugged landscape. With matches to the most popular hues in the Resene Total Colour System, our colours co-ordinate or make a design statement on their own. Choose between four sophisticated finishes: smooth velvet, hard wearing embossed, woodgrain and heavily textured wilderness. 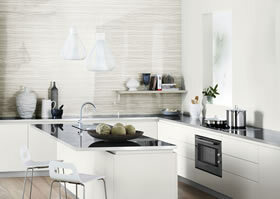 Melteca manufacture quality decorated panels that are highly durable and easy to clean. 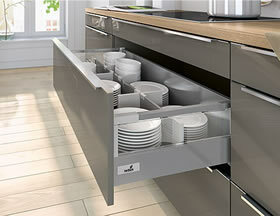 Melteca surfaces are ideal for kitchen cabinetry, cupboards, drawers, shelving and furniture. 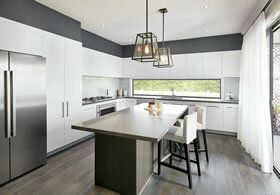 Formed in 1979, Arborline Products has forged a reputation as one of New Zealand’s leading door manufacturers. A family owned company, service and quality are paramount. Each door produced in our Hamilton factory is individually crafted by experienced staff who take pride in the knowledge that their doors finish up gracing New Zealand’s finest homes. 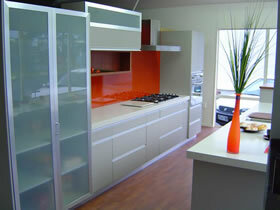 Formica is a durable and resistant laminate that comes in a wide range of colours and finishes. 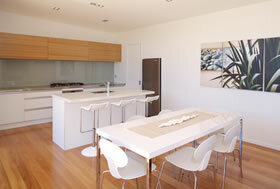 Formica is ideal for benchtops, countertops, doors, and work surfaces. 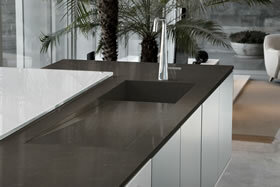 Create dynamic and inspirational interiors with Laminex Solid Surface. 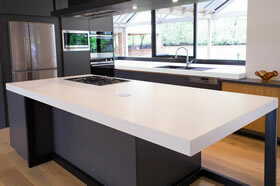 A thermoformable acrylic, Laminex Solid Surface can be moulded to realise inventive designs with seamless joins. Its non-porous nature means Laminex Solid Surface has superior stain and bacteria resistance and the seamless joins make the surface easy to clean and very hygienic. An environmentally preferable product choice, Laminex Solid Surface has NSF accreditation, Greenguard Gold certification, and the Declare Red List free status. 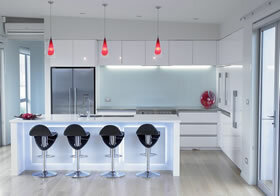 The Laminex Solid Surface decors provide a mix of timeless colour designs and contemporary patterns. 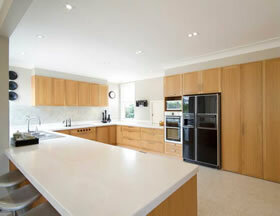 Prime Laminate is a high quality, yet economical high pressure laminate surface. It is highly durable so you can be confident it will face up to your daily lifestyle. Prime Laminate can used for bench tops, kitchens, wall linings, vanities, laundries, domestic and commercial furniture, shop fittings and shelving. 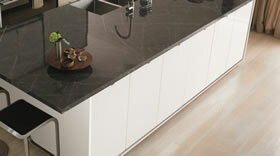 Granite Tops is a premium Granite company that produces, processes, manufactures and exports Granite products. 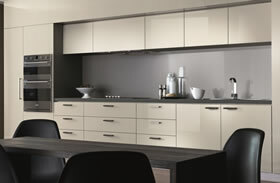 We are proud of our product range including high quality Kitchen Bench Tops, Vanity Tops, Tiles, Fire places. We have over 30 colours of Granite to choose from and cater for the needs of all projects ranging from small residential to large commercial projects. Eurostone® slabs are made from 94% crushed quartz with a flexural strength three times that of granite. Unique technical properties make this an innovative surface material, without the limitations of connecting lines or corner seams. Eurostone® is hygienic, non-absorbent, stain, impact and scratch-resistant. Our slabs come with a 12-year warranty for your peace of mind. 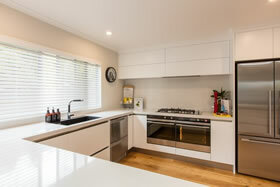 Silestone has become the perfect option for kitchen and bathroom benchtops over and above other traditional materials such as granite or natural stone. Amongst the features responsible for this popularity are that Silestone quartz benchtops present extreme durability in kitchen and bathroom spaces where traffic and daily use is high, and also the endless colours possibilities that are offered with this surface. Founded in 1987 near the ancient Roman city of Caesarea, Caesarstone® manufactures high-quality, premium quartz surfaces. Applications in residential and commercial interiors include kitchen bench tops, splashbacks, bathroom vanities, wall panelling, furniture and more. A global leader and pioneer in its field, Caesarstone® prides itself on its ongoing commitment to research & development, innovation and the highest quality standards. 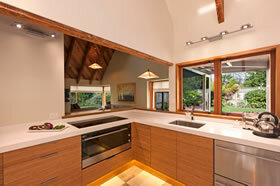 Take your kitchen to the next level with our quality products and exclusive designs. 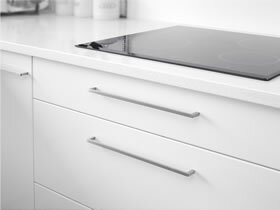 We are proud to offer products that are functional and practical, yet boast elegant, beautiful designs. 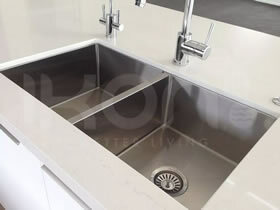 We specialise in affordable European designer sinks and accessories, kitchen taps, cabinet handles, Eurostone and Arborite bench top surfaces. Over the last ten years Ikon has grown from a simple wholesale supplier located in Hamilton New Zealand to a global supplier sending product globally every day. Every product that leaves our premises undergoes what is arguably some of the most strict quality control testing standards within the industry. Every product regardless of size is checked not only for finish quality but also vigorous checks are carried out on the products functionality.